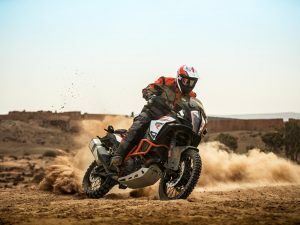 The KTM 1290 Super Adventure R is the off-road variant of the Austrian manufacturer’s Super Adventure S. KTM wants to show the world that you can combine luxury and comfort in off-road motorbikes. Their new motorbike comes with certain changes that set it apart from its on-road counterpart. Let’s check out the KTM 1290 Super Adventure R in detail. At first glance, you can’t imagine such a huge motorbike going off-road and conquering different types of terrain. The bodywork and the chassis of the KTM 1290 Super Adventure R are the same as the previous model. The Austrian manufacturer has fitted in 48mm WP upside down forks for the front suspension and WP-PDS monoshock for the rear suspension. 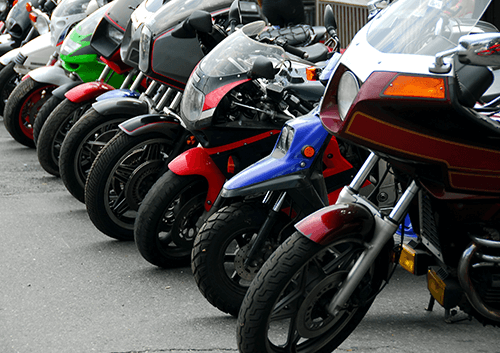 Both the front and rear suspension of the motorbike is adjustable, allowing you to change the settings to meet your requirements. When you take the motorbike off-road, you won’t even notice the change in terrain, thanks to the WP suspension. Even if you don’t have a lot of experience in handling motorbikes off-road, you will feel confident on the KTM 1290 Super Adventure R.
The motorbike comes with dual floating, radial-fixed calliper, four-piston, Brembo disc brakes in the front and twin-piston, fixed calliper, single Brembo disc brakes in the rear. Coupled with the Bosch ABS, the stopping power of the motorbike is incredible, both on and off-road. Despite having a wet weight of 240 kg, you can control the motorbike easily on a variety of terrain. The traction control on the motorbike is phenomenal as it gives you the right amount of grip in all situations. The sports mode on the traction control is meant for tarmac, as the motorbike gives you complete access at 160 hp. The off-road mode decreases the power to 100 hp, giving you extra control on different types of challenging terrain. You get a 6.5-inch crystal clear display on the motorbike, which is visible even under direct sunlight. 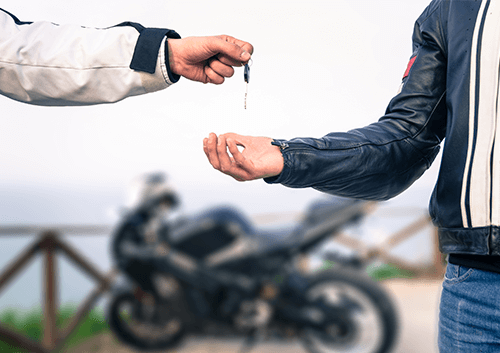 If you are willing to pay extra, then you can also get the ‘Travel Pack’ for the motorbike. It is a package that gives you hill hold control, electronic engine braking control and autoblipper/quickshifter. You can also get heated grips, bash plate, luggage and top box as optional extras. 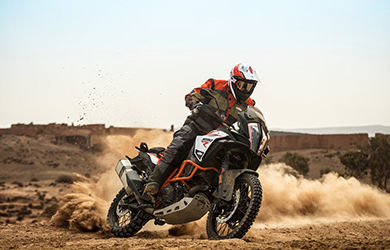 The KTM 1290 Super Adventure R comes with a 75°, liquid-cooled, V-twin 1301cc engine that produces 160 hp of power at 8,750 rpm and a torque of 103 lb-ft at 6,750 rpm. 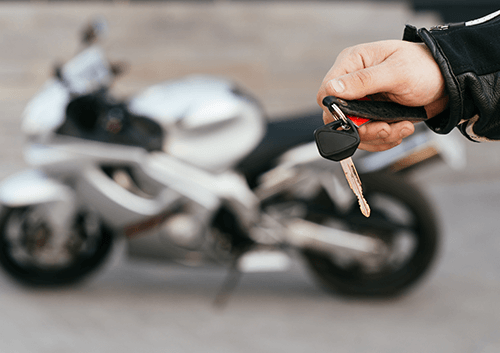 When the traction control is in sports mode, the mindblowing acceleration of the motorbike will get your heart racing. The power delivery is quick, giving you the best performance at all times. The KTM 1290 Super Adventure R is a phenomenal motorbike that perfects the blend between off-road and luxury. It is everything you imagine an adventure bike to be, making it incredible off-road. KTM even included engine bars for better protection from crashes. The base price of the KTM 1290 Super Adventure is £14,899.